Alex Machaskee is the retired Publisher, President and Chief Executive Officer of The Plain Dealer, Ohio’s largest newspaper. In that capacity, he was responsible for the overall policy, operation and direction of the newspaper. Mr. Machaskee joined The Plain Dealer in 1960. Before being named Publisher in 1990, he had served five years as Vice President and General Manager. Previously, he served as Director of Labor Relations and Personnel, Assistant to the Publisher and Promotion Director. In June 2006 Mr. Machaskee retired from The Plain Dealer. Born in Warren, Ohio, Mr. Machaskee worked as a sports reporter and general assignment reporter for the Warren Tribune before joining The Plain Dealer. He is a graduate of Cleveland State University with a bachelor’s degree in marketing. Mr. Machaskee was awarded the honorary degree of Doctor of Humane Letters by Cleveland State University in 1995, from the University of Akron in 1998 and from Heidelberg College in 2006. Mr. Machaskee has been presented with numerous awards throughout his career because of his commitment and leadership in the greater Cleveland community. He was honored by the Urban League of Cleveland with the Whitney M. Young Humanitarian Award, by the World Trade Center Cleveland with the International Executive of the Year Award, by Inside Business magazine with the Nonprofit Board Executive of the Year Award, by the International Services Center with the Golden Door Award and by the Associated Press with a special recognition Award for exemplary service in print journalism. He was inducted into the Northeast Ohio Business Hall of Fame in 2001 and inducted into the Cleveland Journalism Hall of Fame by the Press Club of Cleveland in 2006. In 1999, Mr. Machaskee was awarded the Ellis Island Medal of Honor by the National Ethnic Coalition Organization, one of the highest national awards in America. 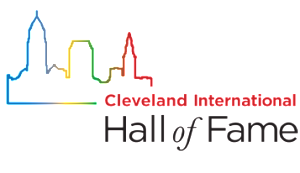 Mr. Machaskee is on the executive committee of the Musical Arts Association of the Cleveland Orchestra and Chairman of International Orthodox Christian Charities. He is an Emeritus Board Member of the Cleveland Museum of Art and past Chairman and current Board Member of the Cleveland Council on World Affairs. Mr. Machaskee is a Board Member of Crime Stoppers of Cuyahoga County, University Circle Inc., St. Vladimir’s Orthodox Theological Seminary in Crestwood, New York, Orthodox Christian Network and the Advisory Board of the Cleveland Opera. Mr. Machaskee is a member of the Cleveland Foreign Consular Corps as the Honorary Consul of the Republic of Serbia. He is a member of The Sovereign Order of St. John of Jerusalem, Knights Hospitaller. Mr. Machaskee was the Chairman of the Board of United Way Services for 2002-2003. He also served as Chairman of the 2000-2001 United Way Campaign. 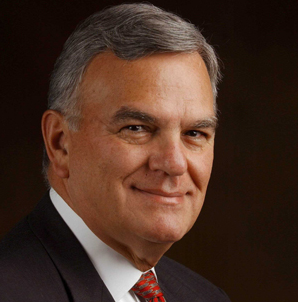 In March of 2004, he was named Lifetime Director of United Way Services. As Chairman of International Orthodox Christian Charities, Mr. Machaskee has traveled to Greece, Serbia, Kosovo, Bosnia, Tbilisi, Beirut, Damascus, Jerusalem, Amman and Ethiopia to oversee the organization’s humanitarian efforts. Currently, Mr. Machaskee is President of Alex Machaskee and Associates, LLC at Key Tower, 127 Public Square, Cleveland, Ohio 44114, 1-216-344-2013. AM&A specializes in Media/Public Relations, Strategic Planning, International Relations, Marketing and Event Promotion. Mr. Machaskee is interested in the performing arts and is an accomplished musician. He and his wife, Carol, live in Beachwood, Ohio.